I’m Professor of Human Geography at the University of Oxford, UK, and my university home page is here. You can find me on Twitter @ProfGillian. I’ve also worked in departments of geography at Queen Mary, University of London, at Edinburgh University and at The Open University. I’m fascinated by some of the things that a lot of geographers have studied for a very long time: place, landscape, space. I find these terms very useful ways into exploring how stuff happens, and particularly how people make sense of their lives in specific locations and times. For me, ‘place’, ‘landscape’ and ‘space’ are particular sorts of understandings about how the world works. Those understandings can be implicit or explicit; they can be encoded in cultural texts like paintings or films or songs; they can be articulated through argument or dreams or feelings. While I’ve done some fairly abstract theorising about them, often drawing on Foucauldian arguments, I’m more comfortable exploring particular examples of places, spaces and landscapes being enacted by people. 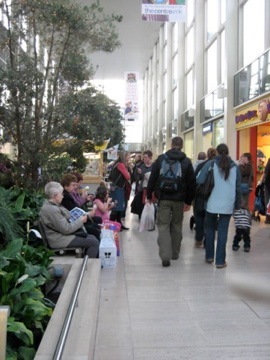 So I’ve looked at how community arts groups working in Edinburgh in the mid-1990s imagined that city, for example, and more recently at how people visiting the centres of two medium-sized towns in the UK experienced those urban environments. I have a particular interest in how places, spaces and landscapes are represented in visual form, or through visual objects – in things like landscape paintings or documentary photographs – and in how different places invite different ways of seeing. One project that’s relevant here is my work on family photography. While I could have analysed how family snaps represent particular people and places in particular ways – and other scholars have done that – I got more interested in family photos as objects with which an elaborate but quite specific range of things is done. They are stored, displayed and circulated, looked at in pretty consistent kinds of ways, and I was interested in exploring the consequences of that. 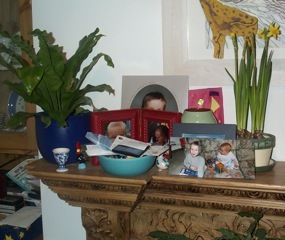 I think that the display of family snaps are crucial to creating family homes, and their circulation matters a lot in maintaining familial affiliations; I also think that mothers have a very complex relation to their family photo collections, which mediates their relation to their kids in important ways. Finally, I’m interested in visual research methods, as another way in which images are being used right now. A lot of social scientists are beginning to use visuals as part of their methods toolkit. I’m interested both in how that might be done most effectively, but also in why visual methods have become so widespread in the last decade or so. I suspect that visual research methods could be understood as part of contemporary visual culture. Following Mieke Bal, by ‘visual culture’ I mean how people tend to look at different visual objects – whether that’s a family snap or a piece of public art in a shopping centre – in quite specific ways, and what happens as a result of that looking. That’s a lot of interests! Which sometimes align and sometimes don’t. This blog is a way for me to begin to think through some of their relations and disjunctures, and also to think about how contemporary visual culture might be changing. If we’re living now in what Henry Jenkins calls ‘convergence culture’, and if many of us are now designers as well as consumers of that culture (to follow Gunther Kress’s argument), what difference does that make to ways of seeing (among other things) place, space and landscape? Bal, M. (2003) ‘Visual essentialism and the object of visual culture’, Journal of Visual Culture, 2: 5-32. Jenkins, H. (2008) Convergence culture: where old and new media collide. updated edition. New York: New York University Press. I’ve recently been given an opportunity to introduce visual communication and design into the mix of behaviour change tools employed by a government department to facilitate change. Can you signpost me to any influential thinkers/publications in this field? Hmm. Interesting question Daniel. I don’t know of any work and though there may be some in business/management literatures. What I do know is that there seems to be a very strong conviction that images do have an effect, particularly that data visualisations can facilitate decision-making – but as far as I know, there’s very little robust research that really explores what kind of images do what sort of work with what sort of audiences. If anyone else reading this does, please let us know!